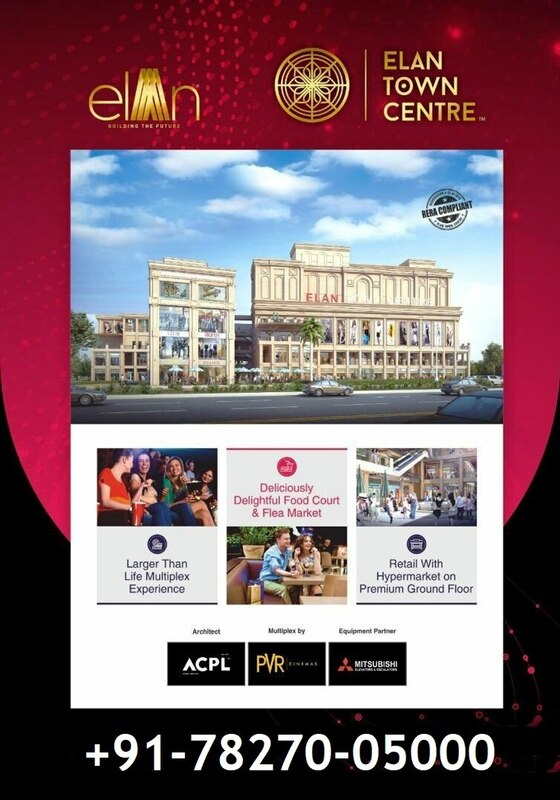 ELAN TOWN CENTER SECTOR 67 GURGAON GURGAON-SOHNA ROAD RETAIL SHOPS COMMERCIAL SHOPS IN GURGAON ASSURED RENTAL RETURN SHOPS GURGAON MAIN SOHNA ROAD SHOPS GURGAON Elan Town Center | Sector 67 Gurgaon SHOPS Retail Shops & Food Court | Pre Leased Property in Gurgaon‎ Commercial shops for sale in Sohna Road, Gurgaon Strategically located on Sector-67, Gurgaon, Elan Town Centre is a commercial project developed by Elan Buildcon, which offers commercial shops. It also has great connectivity from the Golf Course extension road , NPR and SPR, NH-8 highway & has close proximity to the proposed metro station as well as the International Airport. The project is Haryana RERA approved. ELAN TOWN CENTRE is a blend of HIGH STREET RETAIL with DOUBLE HEIGHT SHOPS, FOOD COURT & MULTIPLEX. Strategically located on Main Sohna Road , Sec-67, Gurgaon, Elan Town Centre is surrounded by Huge Luxury Residential Townships, IT parks, SEZ’s & International Schools and Universities therefore it offers great value on investments. Undoubtedly, it is created to offer a dynamic mix of from eclectic retail experience and remarkable hospitality. Connect now & get the best offers.